Eugenia Solano has a Master of Business Administration from the Costa Rica Institute of Technology and a Decree in Hotel Management. She has multi-cultural experience working in the Caribbean, CentralAmerica & the United States. She is a proven leader as evidenced by 25 years of professional growth and awards in meeting and exceeding objectives. Xandari is, in essence, a stimulating place – natural and human – available to anyone who wants to discover it, and one that brings everyone who lives it, one step closer to being better. We inspire each person into being in touch with nature, into eating consciously, into exercising their spirit and into moving their body. We create memories through experiences that we hope will get embedded in every aspect of your being. For nearly two decades, Xandari has been showcasing the core values of sense of community. Most of Xandarians, because our families are from this local community, walk to work. We know each other as neighbors and extended family members, which motivates us to work together on ensuring that your stay at Xandari is a distinct, pure experience. 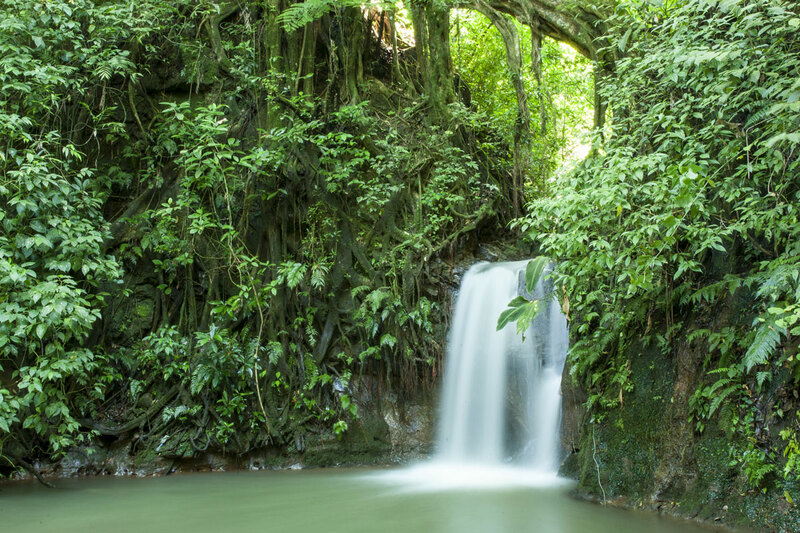 We do this because we want to preserve the natural and cultural heritage of our home. In 2015 we completed the renovation of all the villas and public areas maintaining the same personality of the hotel which all our repeat guests love, the unique and original pieces of art created by Charlene Broudy complemented all the villas and public areas of the hotel. Art and architecture are highlights of the Xandari experience in Costa Rica. 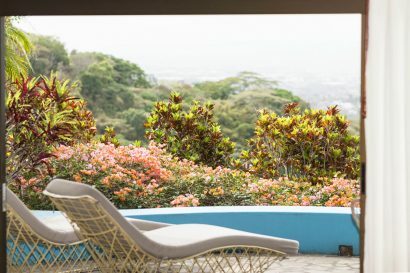 24 spacious villas nestled on a 16-hectares plantation are surrounded by lush gardens, with terraces facing spectacular views of Costa Rica’s majestic Central Valley day and night. 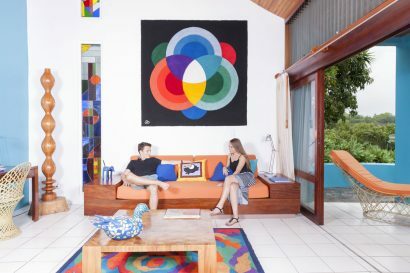 Each is a unique design, with tropical colors and contemporary design. 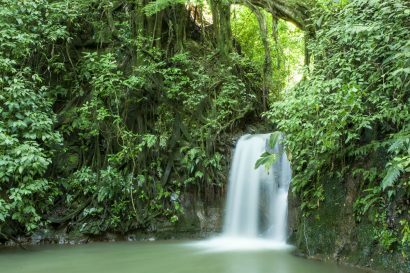 A private forest reserve with rivers, five natural waterfalls, and 4 km of trails offers excellent hiking, birding, and communion with nature. 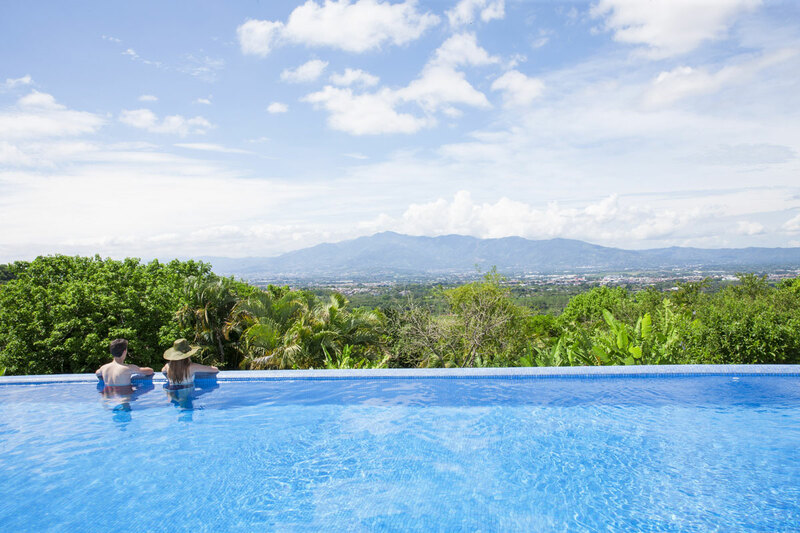 Three pools, each with a unique view of coffee plantations, provide added incentive for a morning swim. Xandari Resort & SPA is located in the mountains of Tacacori, Alajuela only 20 minutes from the Internacional Juan Santamaria Airport. 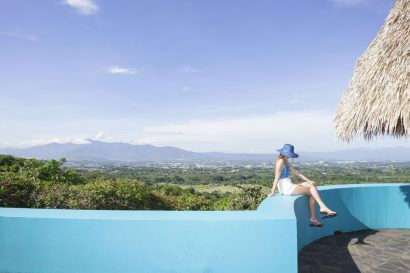 Xandari Resort & SPA is nested 40 minutes from the worldwide famous Poas Volcano, multiple attractions as coffee tours experiences, waterfalls, adventure zip-lines, white ater rafting and much more. At XCR we love families so we have created special menus at the Restaurant and SPA for the little ones and the three pools at accessible for kids. 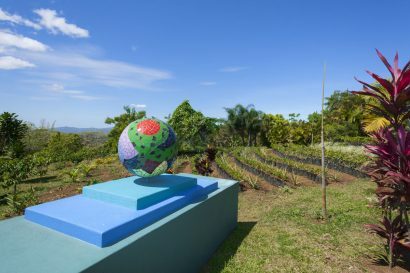 A great activities kids enjoy while staying at XCR it is a visit to our farm where they can really understand where all the tropical fruits grow like and enjoy a visit to the hen house and to the orchard. Approximately 500 sq. ft. (46.45 sq meters) in buildings of 2 or 4 villas, with either a king bed or two full beds. Villa 20. Approximately 500 sq. ft. (46.45 sq meters). 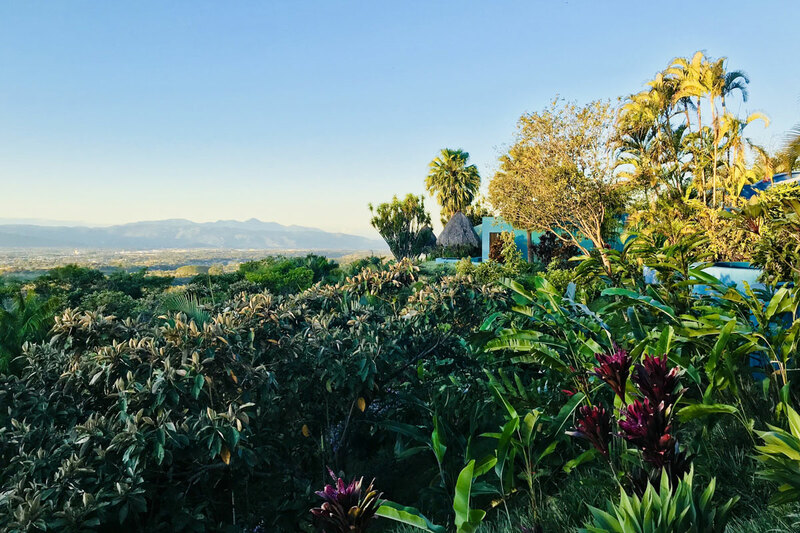 A round jalapa with a dramatic high palm roof, a king bed and a garden view. A favorite of bird watchers.PRIMA PLUS VILLAS (4): Approximately 600 sq. ft. (55.74 sq meters) in buildings of 4 villas feature a sleeping alcove with a king bed, and a sofa/bed in the main area.Each villa is equipped with: Wifi, Safety box, Hair drier, Free toiletries, ceiling fans, Iron & Ironing boards, Mini bar, Coffee maker, Free local calls. Approximately 735 sq. ft. (68.28 sq meters) Individual buildings with either king bed or two full beds. Located on our East Hill. Our largest and very special villa measures 1,420 sq. 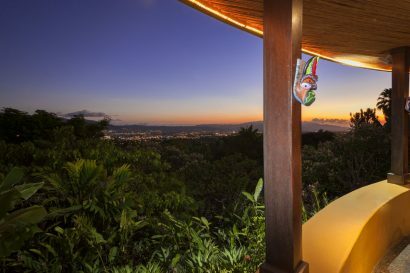 ft. (131.92 sq meters) with two generous bedrooms: one with a king size bed and the other one with two double beds, two bathrooms, salon and dining area, office study with internet, television, full kitchen, and a panoramic view over tropical gardens, our sunset pool, and the expanse of the Central Valley. 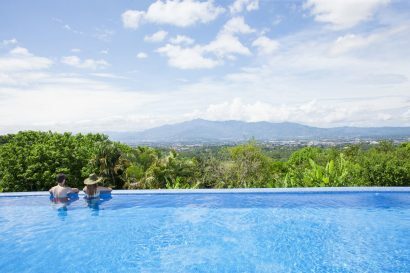 This generous villa is ideal for special guest, visiting dignitaries or families. 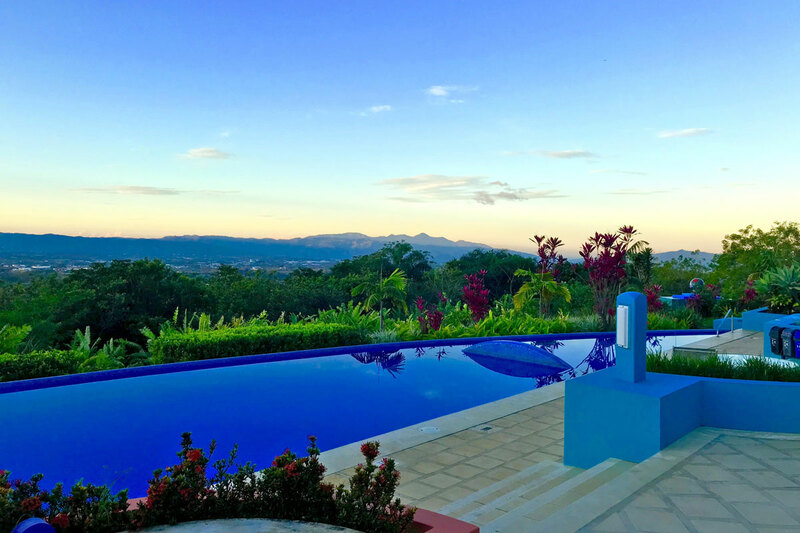 The villa may also be reserved for small special events or long term stays. Each villa is equipped with: Wifi, Safety box, Hair drier, Free toiletries, ceiling fans, Iron & Ironing boards, Mini bar, Coffee maker, Free local calls. • Xandari’s terrace restaurant features a variety of healthy choices, from Costa Rican specialties to Californian and Mediterranean cuisines. Our farm-to-table menu begins at breakfast and continues through lunch and dinner, featuring fruits, vegetables and dairy items grown in our own plantations with all-natural methods. Xandari has been offering farm-to-table menus since the opening of its first property two decades ago. Set on some of the most fertile agricultural land in Costa Rica, it is not surprising that from the beginning we decided to offer a menu enriched by all-natural vegetables, greens, fruits, herbs and spices grown on property. Our commitment, and the productivity of our efforts, have only grown during these two decades. The Restaurant can accommodate 60 guests for breakfast, lunch and dinner. • Bars, lounges We have one inside bar to enjoy a drink before or after dinner. Also, our outdoor terrace sets the best ambiance for unforgettable afternoon’s and evening cocktails. • SPA: 6 special palm roof jalapas for facial and body treatments. • 3 Swimming pools along the property. 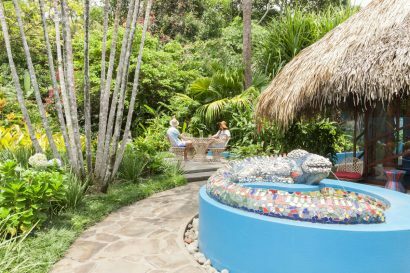 • Nature Trails and tropical gardens. • Studio meeting room: Special area for corporate events, weddings, cocktails, celebration. Capacity school room setting up to 50 guests. • Restaurant Terrace: Ideal for cocktails and get together activities. • Sunset pool: Small and private wedding events.